Emmanuela Gakidou, MSc, PhD, is Professor of Health Metrics Sciences and Senior Director of Organizational Development and Training at the Institute for Health Metrics and Evaluation (IHME) at the University of Washington. 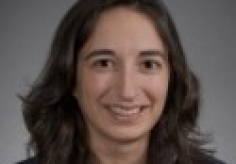 She is also a Faculty Affiliate for the Center for Statistics and the Social Sciences at the University of Washington. Dr. Gakidou’s research interests focus on impact evaluation, methods, and tools development for analytical challenges in global health. Examples of current research projects include the evaluation of community-based interventions to improve non-communicable disease management in underserved populations, the assessment of facility efficiency in the provision of health services, and the measurement of poverty and educational attainment at the small area level. A founding member of IHME, Dr. Gakidou oversees the Organizational Development and Training team as they strengthen and support our high-achieving, diverse, and ambitious staff. She is passionate about training the next generation of leaders in the field of health metrics and evaluation both at the University of Washington and around the world, and enjoys mentoring and teaching. Before joining IHME, Dr. Gakidou was a research associate at the Harvard Initiative for Global Health and the Institute for Quantitative Social Science. Prior to moving to Harvard University, Dr. Gakidou worked as a health economist at the World Health Organization (WHO), where she led work on the measurement of health inequalities. 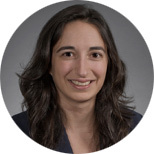 Originally from Greece, Dr. Gakidou moved to the US for higher education and received her degrees – a BA, a Master of International Health Economics, and a PhD in Health Policy – from Harvard University. Darney BG, Weaver MR, Sosa-Rubi SG, Walker D, Servan-Mori E, Prager S, Gakidou E. The Oportunidades Conditional Cash Transfer Program: effects on pregnancy and contraceptive use among young rural women in Mexico. International Perspectives on Sexual and Reproductive Health. 2013 Dec; 39(4). Farzadfar F, Murray CJL, Gakidou E , Bossert T, Namdaritabar H, Alikhani S, Moradi G, Delavari A, Jamshidi H, Ezzati M. Effectiveness of diabetes and hypertension management by rural primary health-care workers (Behvarz workers) in Iran: a nationally representative observational study. The Lancet. 2011; DOI:10.1016/S0140-6736(08)61345-8. Liu Y, Rao K, Wu J, Gakidou E. China's health system performance. The Lancet. 2008; 372(9653):1914-23. Ikeda N, Gakidou E, Hasegawa T, Murray CJL. Understanding the decline of mean systolic blood pressure in Japan: an analysis of pooled data from the National Nutrition Survey, 1986–2002. 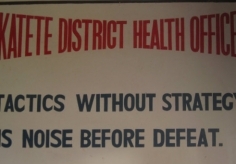 Bulletin of the World Health Organization. 2008; 86:978–988. Obermeyer Z, Murray CJL, Gakidou E. A half-century of war mortality from Vietnam to Bosnia: New estimates from the World Health Survey Program. British Medical Journal. 2008 Jun 28; 336(7659):1482-6. King G, Gakidou E, Ravishankar N, Moore RT, Lakin J, Vargas M, Tellez-Rojo MM, Hernandez-Avila JE, Hernandez-Avila M, Hernandez-Llamas H. A ‘politically robust’ experimental design for public policy evaluation, with application to the Mexican universal health insurance program. Journal of Policy Analysis and Management. 2007; 26(3):479-506. Lu C, Michaud C, Gakidou E, Khan K, Murray CJL. Independent evaluation of the impact of GAVI Alliance on DTP3 coverage. The Lancet. 2006; 368(9541):1088-95. Gakidou E, King G. Death by survey: estimating adult mortality without selection bias from sibling survival data. Demography. 2006; 43(3):569-85. Gakidou E, Murray CJL, Frenk J. Health inequalities and social group differences: what should we measure? Bulletin of the World Health Organization. 1999; 77(7):537-43.